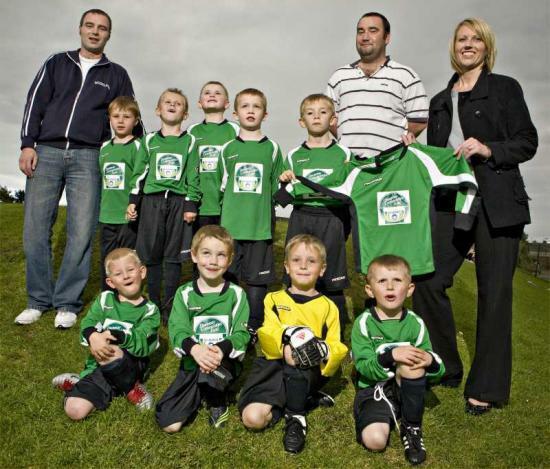 Dounreay Communities Fund has supplied Thurso Pentland Boys Club under 7 team with new strips. The football club runs training sessions for approximately 70 children from 5 to 15 years old, in Thurso High School on Monday evenings. Marie Mackay, DSRL is pictured here presenting the strip to the team and coaches on behalf of Dounreay Communities Fund.